NEW! Click here to print the recipe! There's something to be said about a meal that awakens your taste buds while evoking a sentimental memory that makes you feel at "home". I've had curry on hand for a while that my step mom gave me that HER mom makes in Malaysia. How cool is that!?! I haven't used it in a while and this dinner reminded me that I need to make it more often! The aroma of the curry simmering while I prepared the riced sweet potatoes felt nostalgic and when I sat down to taste the meal I could literally envision myself in my high school and college years sitting on my parent's living room floor watching TV and eating the curry she prepared. It was always one of my favorite meals. No lie, I shed a tear or two that evening missing them (they've moved out of state). I originally planned to spiralize jicama to use jicama noodles or potentially try to "rice" jicama but as it turned out my jicama had gone bad. I opted for plan B which meant the next vegetable I had on hand and thus the riced sweet potato. While the color clash is a bit harsh on the eye, don't let it deter you from mixing these flavors. It was divine! The meal (Paleo and Whole 30 friendly): chicken curry over riced sweet potatoes. This recipe is for 1 serving, so if you're preparing this dish for more you can multiply the chicken and both types of potatoes. If you're cooking for 3-4 servings you'll want to multiply the chicken and both types of potatoes by the number of servings and double everything else. I used the left over curry sauce and potatoes to eat with my eggs the following morning. Paleo Chicken Curry: First start by cutting and peeling the onion. Cut the onion in half and dice it. Heat up 1 tbsp coconut oil in a saute pan over medium heat. Saute the onions until they're translucent. Cut the chicken breast into bite size pieces and add to the pan. As it's beginning to cook you can peel and dice the red potato and add it to the saute pan as well. Make sure to occasionally stir so the chicken cooks evenly and doesn't get tough. As this is cooking, add in the 2 tbsp of curry powder. Once they chicken seems mostly cooked, you can pour in 1 can of full fat coconut milk. You can use lite coconut milk but I do think the full fat tastes more authentic. Allow the curry to simmer for 20-30 minutes, stirring occasionally, and you can salt to your taste preference. To check for the curry to be done you will need to use a fork to check on the potatoes' softness. If you feel like you want more flavoring you can add more curry powder. I thought 2 tbsp was super flavorful and perfect. Riced Sweet Potatoes: Wash and peel the sweet potato, then cut off the ends of it to create flat surfaces. 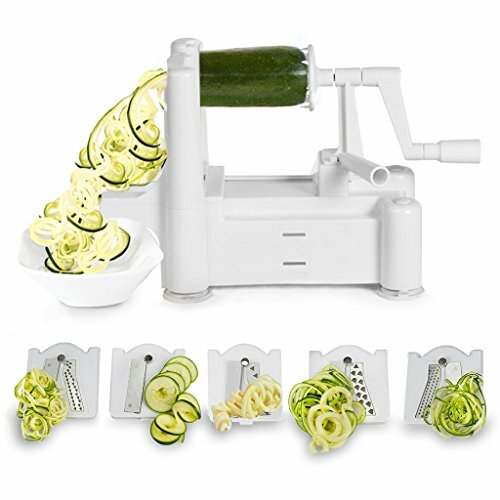 Wedge the sweet potato between the blade and holder of your Spiralizer. 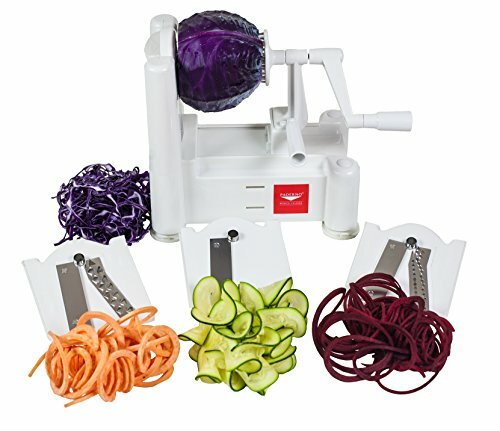 Using blade C (if you have the 3 blade Spiralizer), spiralize the sweet potato into noodles. 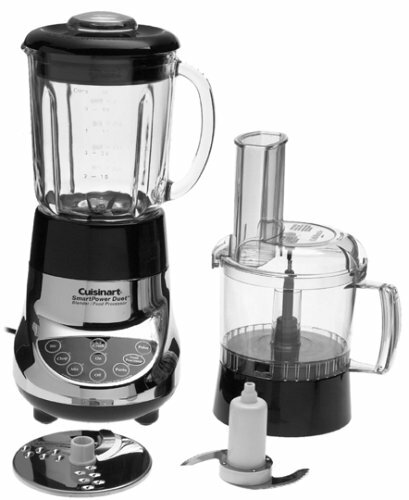 Then, place the noodles into your food processor and pulse on the "food processing" setting until the noodles turn into a rice texture. 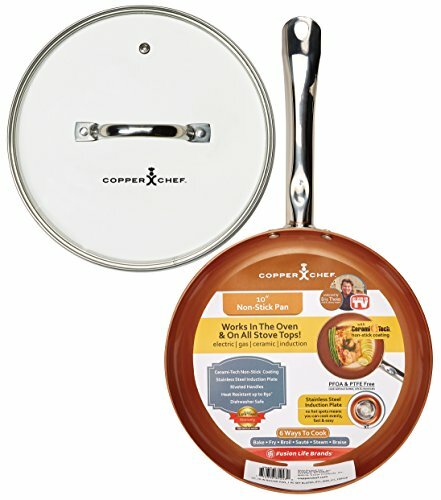 Now is the perfect time to use your Copper Chef pan if you have it so that you only have to heat up the riced sweet potato without using any additional oils. If you do not have one, then I would suggest using a non-stick pan and a tiny amount of coconut oil to prevent it from sticking as you heat up the riced sweet potato. You can serve the curry over jicama noodles, or riced cauliflower, or even riced potatoes. I haven't yet experimented with riced jicama and I'm not 100% sure that it would work because jicama has so much liquid in it naturally but one day I will give it a shot! If you enjoyed this post please share with your friends & family! Make sure to subscribe below so you don't miss out on future posts. =) Click here to view previous recipes I've shared.